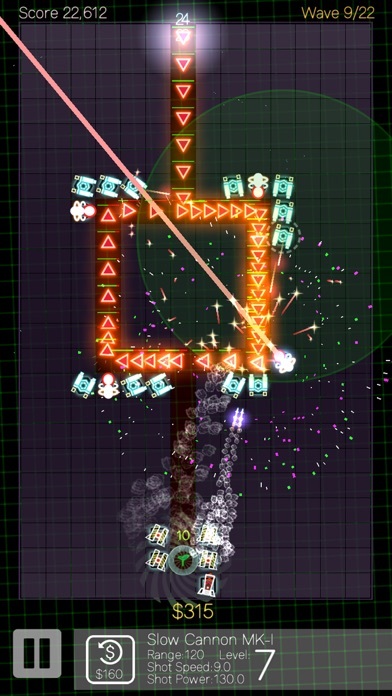 neoDefense is a defense game set in a core of new life invaded by countless creeps. A game that is a new twist of tower defense games, something that will keep you hooked and intriguingly challenged! Build your fortress any way you wish, upgrade weapons and let the invasions begin! And sweep them! Don’t go over yourself & think that you can always win – strategize! This game need your brilliant idea to defeat enemies attack! 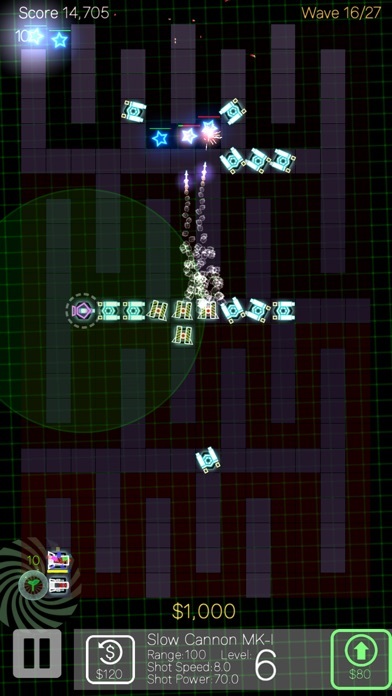 Each mission has its own mind-challenging hardness, show that your enemies can never outsmart you. Use weapons, plan and destroy the invaders. Enjoy stunning vector graphics accompanied with thrilling sound effects & animations. Be prepared for astounding visual heaven. One of the best you’ll see in a defense game. 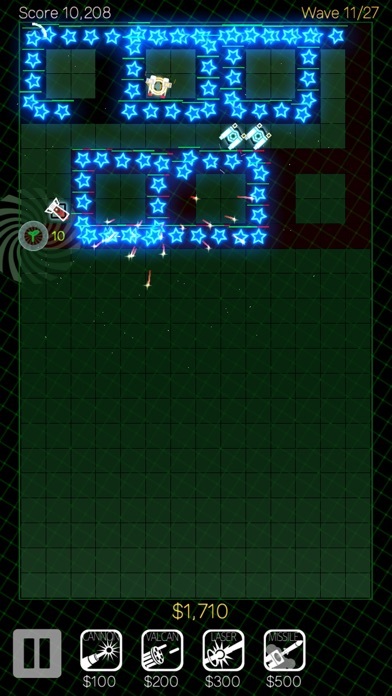 Each in-app purchase can make you challenge more missions from Gamma sector. Please contact duetblock@duetblock.com with any inquiry or feedback. Please visit http://www.duetBlock.com for more detail. - The Epsilon sector(15 missions) is opened. 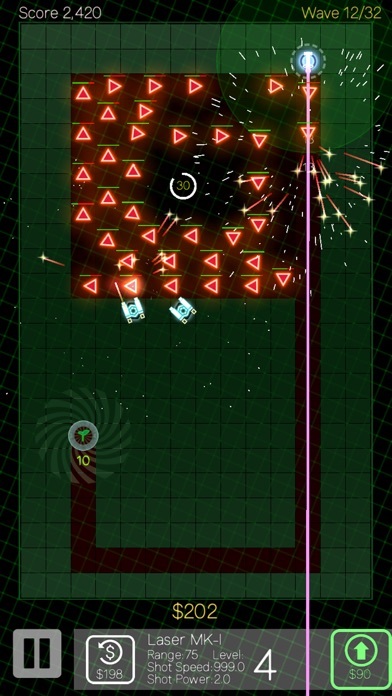 - New type of defense tower "Cannon Booster" has added! - Bonus 3 missions in each Beta, Gamma and Delta sectors! - You can turn off flare effect. 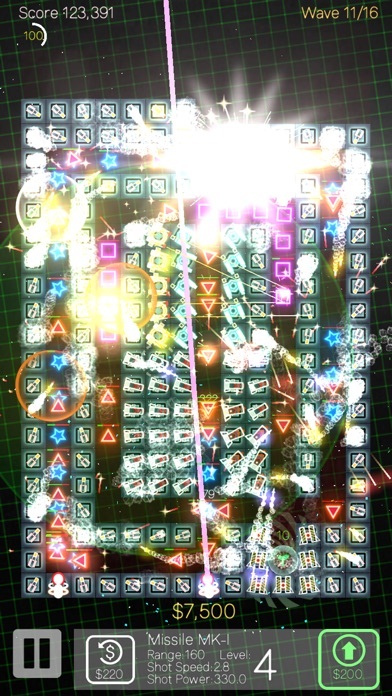 - Additional effects are added.